Young children’s brains and bodies develop rapidly in the first five years. When we provide high-quality early learning and health opportunities during this critical time, we create better chances for health and happiness throughout a child’s life. Oakland Starting Smart and Strong aims to make sure every child has access to high-quality early childhood education, and every adult in a child’s life – whether a formal educator like a preschool teacher or an informal caregiver like a family member – has the tools they need to support that child’s development every day. 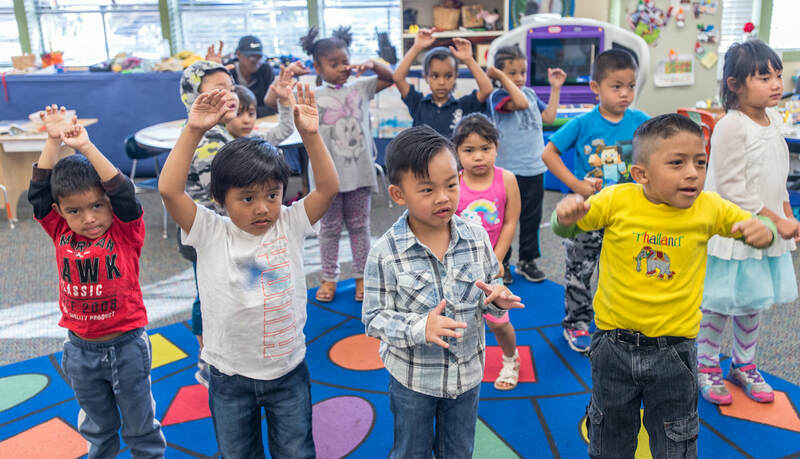 As one of three California communities funded by the David and Lucile Packard Foundation’s Smart and Strong Initiative, we bring together public and private supporters to create a strong early learning network, to test and develop solutions, and to take collective action to create lasting change.